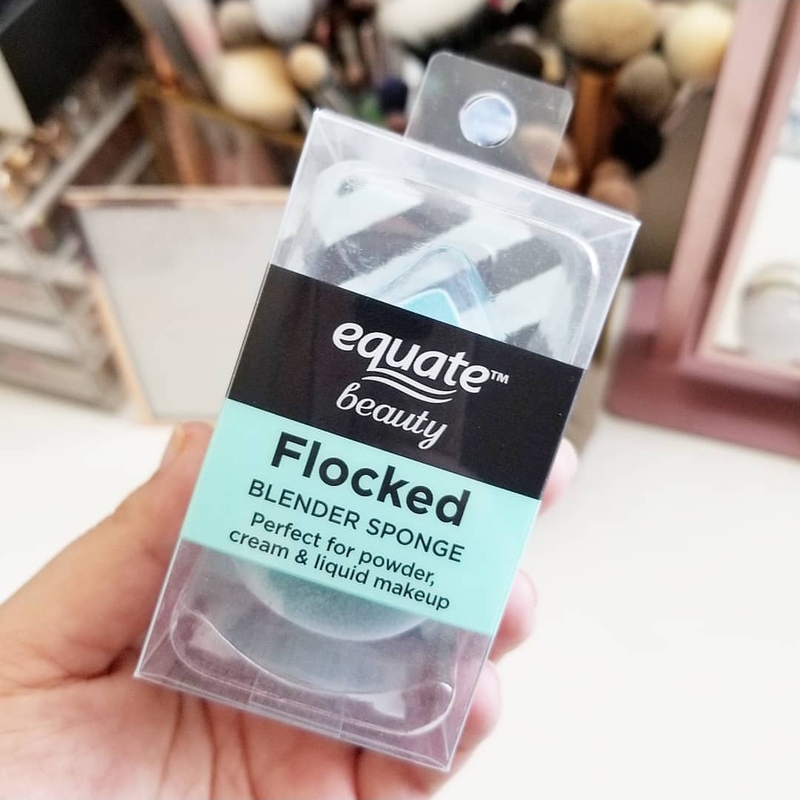 I was recently at Walmart browsing the beauty section and I came across this fuzzy makeup sponge from Equate Beauty. It is made to work with powder, cream and liquid products and it can be used wet or dry. I wasn't sure what to expect or if it would blend out anything. Cheap makeup sponges can sometimes be the worst, but this really did the job well. Find out more below. 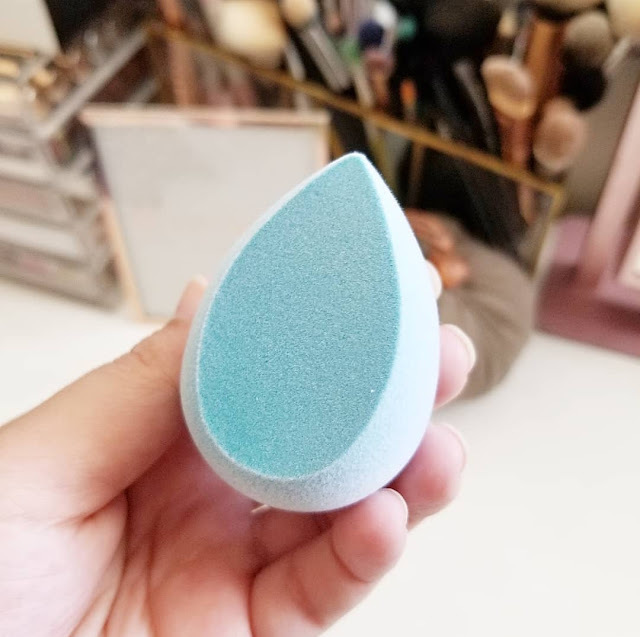 I have used this makeup sponge both wet and dry with different products. When I decided to wet it, I used it for my liquid foundation to blend it out. I noticed that it worked best in a stippling but also sweeping motion vs. a bouncing motion. It was something I definitely had to work with but I ended up with my foundation looking nice and blended out evenly. I like the size of it and the shape was easy to hold. To use the sponge dry, I used a setting powder, blush, and highlight. It worked for all three but I prefer to use a brush for blush and highlight. The setting powder worked out great with the sponge and I have continued to use it for that step. My favorite products to use this sponge with are also foundation and concealer. The instructions on the box say that after use to wash with a blender cleanser or soap and warm water. It's also best to let it air dry overnight so that it is ready for the next day. I had no problems washing it and the next day it felt the same way I had it when it was new. Do I recommend it? Yes! I think for $3.98 it is a great deal and I have been using it the most right now for my makeup routine.